By following this trick you will be able to make free international call from any country including Bangladesh. 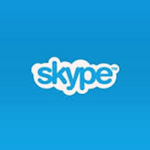 Previously we have shared two tricks about how to make unlimited free international call and Free 60 minutes skype outgoing call credit But now I am sharing another free calling trick. This trick does not require any computer. Any phone which can receive call is enough. Enter your mobile number in International Form . After that Enter your destination number in International form.This website will first call to your number. Press 1 to confirm your number. Then follow the voice. It will can connect with your friends number and you will enjoy talking with them free!! You can call TOTAL 30 minutes free! Try it now. But this site allows 30 seconds per call. So you want free 5 minutes bonus now? No problem , Here you go. Visit this link The procedure is same as the above. toolani server error . what to do?